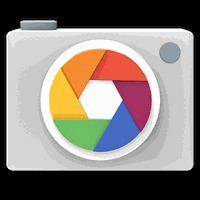 Google Camera Android - Free Download Google Camera App - Google Inc.
"Discover the full potential of your Android camera "
App description: Google Camera is an Android app that has more than the basic camera functions. You can take and edit high quality photos and videos, produce professional looking photography. Functions: Use the feature Photo Sphere to produce panoramic photographs, they can be viewed in their entirety on your Android screen. Lens blur creates an effect of depth of field. Controls: The application interface is intuitive and functional. Recommendations: For amateurs and professionals who use their Android to take high quality photographs. Platform: Android smartphones and tablets, the recent update brings Google Camera to Android Wear. Developer: Google Inc.	- One of the most prominent developers on Android Market. Installation requirements: A minimum of 21.97 MB of free memory space and Android OS which Varies with device. Do you like Google Camera? Love how fast everything moves!